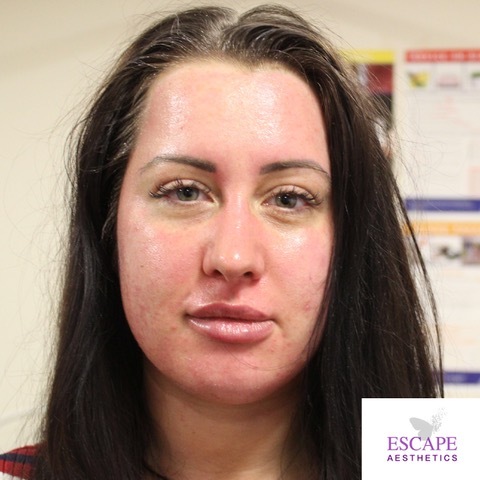 Amanda, one of our regular clients, an Accountant from Watford comes to us for Lip Fillers, although this time she visited us conscious of her skin. She had heard about our AlumierMD Chemical Peels and mentioned it her lip filler appointment to see if we could help her. Amanda’s main concerns were the recent acne breakouts, large pores, and pigmentations. Having suffered from acne myself for over several years and having 5 months of clear skin due to a revolutionary range of chemical peels, AlumierMD products, and chemical peel treatments. As a result, I was super excited to treat Amanda and help her get to her goal of clear skin. “I am unable to leave the house without make-up”. We always recommend a consultation before having any treatment and saw Amanda for a skin consultation, where we recommended the most suitable AlumierMD home-care products tailored to her skin type and condition. All the products included special medical ingredients and SPF, which acts as a layer of protection for your skin and will help prevent pigmentation from sun damage and is vital after having any skin treatments such as standard facials; lasers or chemical skin peels as the skin can become more sensitive to sun/light damage. There was no pressure to buy the products but we recommend for best long-term results. Then the details were personally emailed to Amanda, where she could click on the link and order directly straight to her house. Basically, the products can be purchased directly from the AlumierMD website, as they are medical grade (establishments that operate under a physician's license) and the products can only be purchased from your medical professional outlets. Our bespoke AlumierMD facials are tailored to each individual client needs and we recommended 3 to 6 sessions for a significant change to the skin. 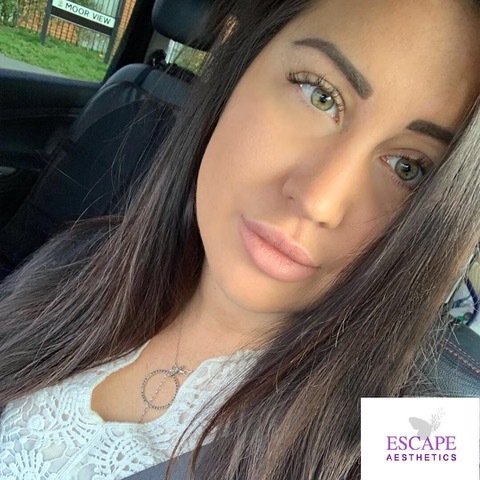 Amanda decided to opt for our Luxury Medical Facial by AlumierMD, which contains Medical Microdermabrasion and two revolutionary skin treatments. For Amanda, we used the Medical Microdermabrasion, a 3 times more powerful than your standard microdermabrasion. The machine uses small crystals that exfoliate dead skin cells helping with blackheads, whiteheads, acne scarring, and fine lines and wrinkles. I particularly love it as it brightens up tired, dull skin and prepares the skin for the chemical skin peel. Last but not least, the radiant 10/20 chemical peels were applied to the skin for approximately 15 minutes, it contains salicylic acid which is water soluble so can go through the open pores getting rid of bacteria that is causing acne breakouts. In addition, it contains lactic acid and speeds up this process with further deeper exfoliation, as a result, the pores will be instantly tightened and skin will be glowing. To finish we prepare the skin with recovery balm and SPF is massaged into the skin. After the skin has cooled down you see instant results, Amanda’s skin was glowing after the treatment after it was slightly red of course, which would go down after an hour or so similar to waxing. We followed up with Amanda a week after her first AlumierMD Chemical Skin Peel and she was feeling great. She said her skin feels much brighter and breakouts are definitely improving and can’t wait to see results as the days go on. We’re really happy as it gave Amanda the confidence to go out without any make-up. Just take a look at her skin below, it looks flawless. If you have any questions about AlumierMD, our chemical skin peel treatments or have any questions, please don't hesitate to contact us or you can always book a free consultation.